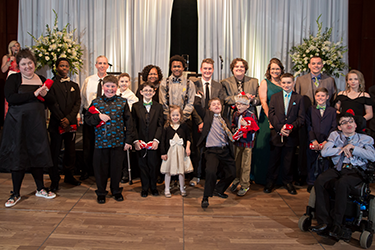 Dream on 3, of Charlotte, NC, makes dreams come true for children with chronic illnesses, disabilities, or life-altering conditions. Their “Huddle Up” model invites local health organizations and sports community to donate time, talent and resources to grant dream recipients once in a lifetime sports experiences. Dream on 3 is recognized by the IRS as one of the fastest growing dream-granting organizations in the country. 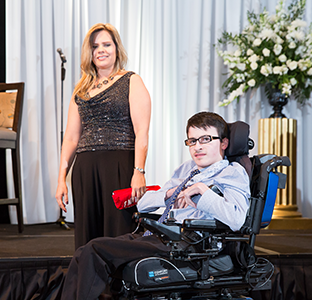 Lindsey took his sales acumen and drive to reach goals and unleashed it on his new fundraising venture. Fast growth followed: they grew from granting three dreams in 2013 to over 70 dream experiences to date. They now run multiple programs, including: Dream Kids, Day Dream Program, Jr. Dream Team, and their annual Dream Gala. The problem was that like many nonprofits, Dream on 3 relies heavily on the funds raised at their annual Dream Gala to fund their mission. Attendance was not the issue: The Dream Gala grew to 500+ attendees and sold out 3 years in a row. The challenge facing Lindsey and his team. 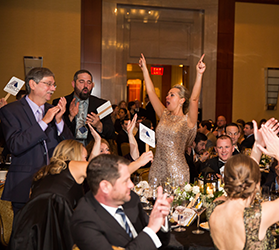 How to reach more donors and take the Dream Gala to the next level? They needed innovative solutions to engage more supporters, so they could fund more dreams. In 2017, Dream on 3 partnered with OneCause (formerly BidPal) to make it easier to donate. Their goal in the first year was to create a fun event that people wanted to attend. Dream on 3 kept paper bid sheets that first year and focused on mobile donations. Results in 2017: 77 donations on event night, raising a solid $13,000 in their first electronic Fund-A-Need. Good progress for the first outing! Lindsey and the Dream on 3 team also wanted to look beyond the ballroom to engage new donors. To do that, the nonprofit incorporated social fundraising into The Dream Gala. Dream on 3 partnered with seven well-respected local businesses and launched corporate fundraising teams. Each team went into the community to secure silent auction donations and promoted item links to their social networks once the auction was launched. “We provided the corporate teams motivation along the way to keep the momentum going. The key was connecting them to the cause, why it was important and what the donations would do,” said Lindsey. Moving beyond the ballroom, allowed bids (and revenue) to come from those at the event and from remote bidders, giving Dream on 3 a bigger reach and greater bottom line fundraising impact. Results in 2018: The organization’s most profitable silent auction to date: 739 bids (an average of 11 bids per item) brought in proceeds equal to 135 percent of item value, compared to an average of 40-50 percent for paper bids. Dream on 3 also harnessed the power of the corporate teams to propel the Gala’s Fund A Need to a higher level. The focus was on stirring compassion and competition into the crowd. Dream On 3 created donation packages for each corporate team. 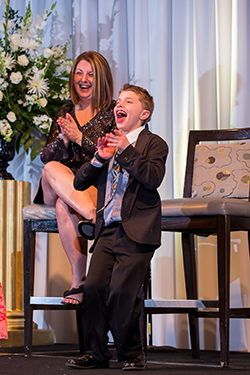 A heart-warming program got everyone into the cause, then organizers asked guests—many of whom were associated with the corporate teams—to donate to a team and fund a dream recipient. engaged, excited and determined to fund the mission. Results: In the end, over $115,000 raised (784% over 2017). One hundred donors participated, with one couple donating 21 different times during the challenge. The emergence of team-based fundraising, gives OneCause another opportunity to meet changing nonprofits demographics and needs. OneCause plans to add Peer-to-Peer products in 2018, to help causes connect more donors to their mission with social and competitive fundraising. 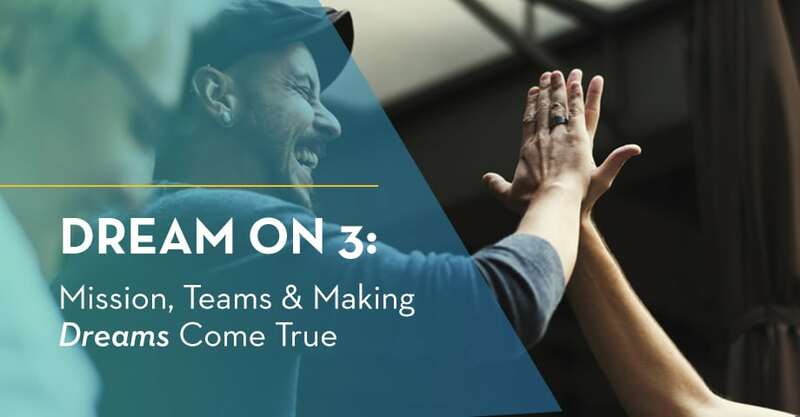 Dream on 3 illustrates that by engaging the heart via a compelling mission, feeding the competitive nature in all of us, and tapping into innovative fundraising technology makes dreams come true. For more information on Dream on 3, please visit their website.